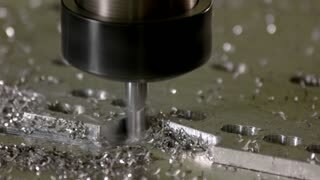 Cnc milling machine working. 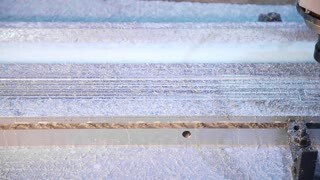 Drill and metal shavings. 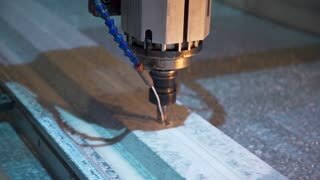 Working cnc milling machine. Metal and water.